We’re beginning to wonder what on Earth could be next! First the To Kill A Mockingbird prequel was announced. Then a lost Dr. Seuss manuscript was uncovered. And now… a long-forgotten story by the master himself, Sir Arthur Conan Doyle. It is believed the story -- about Holmes deducing Watson is going on a trip to Selkirk -- is the first unseen Holmes story by Doyle since the last was published over 80 years ago. 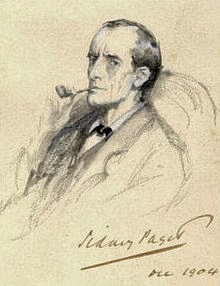 What Doyle did was donate “Sherlock Holmes: Discovering the Border Burghs and, by deduction, the Brig Bazaar” for inclusion in a book of short stories published to conceder with the fund-raising bazaar.